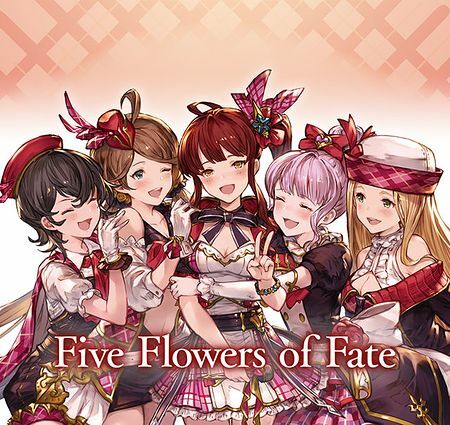 Five Flowers of Fate is a story event. Unlike other typical story events, there is no loyalty character to recruit. Instead, there are five loyalty summons. 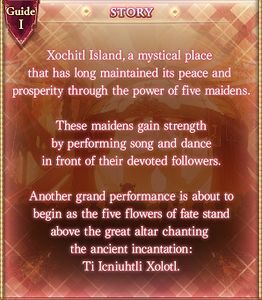 Attaining full loyalty for all five event summons rewards the Ti Icniuhtli Xolotl summon. 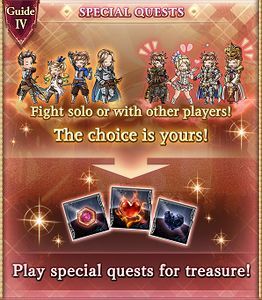 The original 2016 iteration of this event served as a promotional launch for the character song CD Never Ending Fantasy ~GRANBLUE FANTASY~. prosperity through the power of five maidens. in front of their devoted followers. 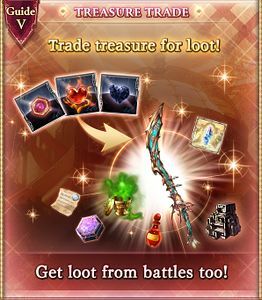 Damascus Crystals are a good long-term investment for creating Damascus Ingots to uncap SSR weapons. Obtaining all three is recommended if AP/Elixir consumption is not a concern. Xolotl Ripper only has a medium boost to Wind Normal ATK. Fledgling Wind grids can still use it for filler, it won't last long before it gets replaced. Additionally, Wind-element sabres are rare outside of events. If you don't have any other Wind sabre, keeping one is an option. to all allies and it can stack itself up to 4 times. Hyped is an ATK buff that stacks with most other ATK buffs in the game. This summon works well with characters and skills that also grant Hyped such as Aoidos, Anthuria, and Chloe. Very easy to obtain for newer players. A Music Video will be added to the journal once all chapters of the story are completed. Tap Bonus Music Video in the event screen to play the Never Ending Fantasy MV. After the event conclusion: The Never Ending Fantasy MV can be viewed from the Event tab in the Story screen of the journal. 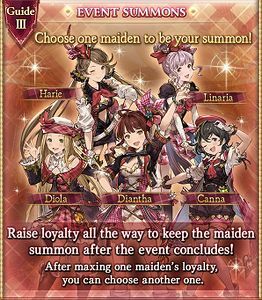 The event-exclusive summons, Diantha, Linaria, Harie, Canna, and Diola can be equipped during the event. Raise their loyalty all the way to keep them after the event concludes. Earn loyalty by equipping the summon and completing battles. You cannot choose loyalty summons as a main or support summon until full loyalty. After earning full loyalty, you can sell, reduce, favorite, stash away, or use them to upgrade another summon. If you do not raise loyalty all the way before the event concludes, you will be unable to play quests with the loyalty summon equipped. Earning full loyalty for all five summons rewards the Ti Icniuhtli Xolotl summon, which is already uncapped to 3★. You cannot own more than one copy of each loyalty summon or the Ti Icniuhtli Xolotl summon. Cost to Host: 0 AP Unlock: May appear after hosting Very Hard (Solo or Raid) or Extreme (Solo or Raid). Will always appear after completing Maniac. 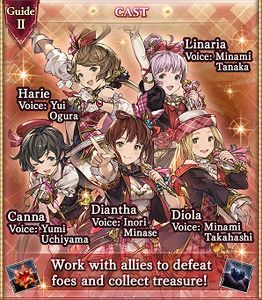 A version of Never Ending Fantasy sung by Cagliostro appears on the character song CD ７日間かけて世界を創るより 可愛い女の子１人創った方がいい ~GRANBLUE FANTASY~. This page was last modified on 23 May 2018, at 04:51.